On average, carpets have a lifespan of approximately 5-10 years; this mainly depends on the quality of carpet and foot traffic in that area of the property. For example, the carpets in hallways generally experience more wear and tear than the bedroom, as it is a busier part of the home. Although regular cleaning can go a long way to extending the lifespan of your carpet, regular use will mean that it will eventually need replacing. Some of the signs that you should replace your carpet can be glaringly obvious, while others are more difficult to notice. 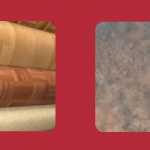 As such, this article will provide you with the 6 main signs that you should replace your carpet, so you know what to look out for in your own property. Although there are a variety of stain removal techniques aimed to restore the look of your carpet, you may find that certain treatments can cause more harm than good to the material. Sometimes, the only way to get rid of obvious stubborn stains is to replace the carpet entirely. Particularly in a household with pets and children, carpets can become a breeding ground for mould and damp as bacteria builds up underneath the flooring. If you notice marks or stains on your carpet which indicate a mould or damp problem, it’s imperative to replace the carpet as quickly as possible to completely eradicate the issue to prevent it from spreading throughout the room. Depending on the type of material your carpet is made from, you may start to notice matts developing, particularly in areas with high foot traffic. 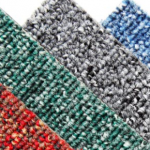 As some carpet types are more prone to matting than others, it’s important to carefully consider which material will best suit your requirements when purchasing a new carpet. 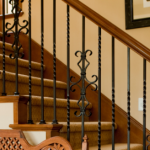 For example, nylon carpets resist matting and have a longer lifespan than polyester carpets. A nasty smell from your carpet can be a clear indicator of a mould problem or may point towards the need for a deep clean, particularly for pet owners. If these foul smells are proving difficult to shift, it’s more than likely that you are in need of a fresh new carpet entirely. Whether you are embarking on a large-scale renovation project in your commercial property or you want to modernise the decor in your home, replacing the carpet may be the perfect option for you. It offers a straightforward, cost-effective way of updating the interior of your property for a fresh, stylish look. Not only that, replacing your carpet can improve the value of your property, should you be looking to sell in the near-future. An accumulation of dust, dirt and allergens inside a property can cause the symptoms of allergies and hayfever to worsen. Although regular carpet cleaning, such as vacuuming and deep cleaning, can help to improve air quality, replacing your carpet will eliminate this problem entirely. If you are searching for specialist, highly experienced carpet fitters throughout Central London and the surrounding London areas, look no further than the team here at Brent Carpets. For expert advice or to book a free home visit for your domestic or commercial property, simply get in touch with us today – we are always happy to help.